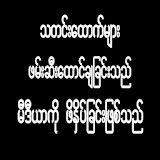 It s not toe naing moe it s toe naung moe. I think people should at least know the famous poet name it s they are going to write something about him???????? ?